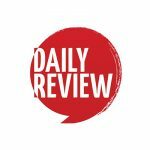 Sydney Theatre Company left without an Artistic Director as Jonathan Church quits | Daily Review: Film, stage and music reviews, interviews and more. After just a few months in the role British director Jonathan Church has stepped down from the post of Artistic Director of Sydney Theatre Company. Church was brought into the role after successfully leading the Chichester Festival Theatre through a period of transformation and growth. But there was some criticism over his appointment, with some in the artistic community disappointed that a local director was overlooked. There were also those in the UK surprised that he’d taken on such a big job in Sydney while his commercial production company Jonathan Church Productions was just taking off in the UK. At the time of his appointment, Church stated his intention to move to Sydney and fully immerse himself in the Australian theatre scene. In recent months Daily Review, heard that some at STC were disappointed by his absence as he travelled between Sydney and the UK. Church replaced Andrew Upton, who at the end of last year left the company. He’d served from 2008, with the first five years of his tenure co-directed with his wife Cate Blanchett. The 2017 season will be completed by STC’s existing artistic staff, and will be announced in September as planned. The search for a new artistic director will begin after then. “Since September last year, Jonathan has led the development of an exciting season for 2017. Over these nine months, he has been balancing his time in Sydney with his ongoing commitments in the UK and elsewhere, and it has become apparent that the combined workload and travel will be unsustainable. “We understood when we made the appointment in August last year that Jonathan was much in demand and we agreed that time would be made for him to remain engaged in other opportunities around the world through his company Jonathan Church Productions. But ultimately, both parties have decided that this arrangement won’t be in the best interests for either in the long term. I do find the timing of this sudden yet apparently mutual “parting of the ways” a little curious, coming so closely after Jonathan Church joined other Directors of State Theatre Companies in penning a letter of contempt at the current Government’s Arts Policies post-budget. T’was a highly publicised act of Coalition Bashing which one presumes would not have been welcomed by certain members on the STC Board. I agree that we do not need to employ foreigners to run our major theatre companies…..or any other of our artistic companies for that matter. We have so much talent here. Let’s make use of it! Sounds like he wasn’t around much being as he was “engaged in other opportunities around the world”- who would have anticipated that ? Well, it may be about time major arts organisations and festivals consider stopping hiring busy foreigners and giving important local programming jobs to overseas based people, if anything in an effort to make sure those roles are done by people who are in touch with local audiences. It is not unheard of programmers for major festivals and venues who are based in cities like London ( a trend started by the Opera House) and it is not a surprise that their programs often seems suited for Londoners instead of Melbournians, Sydneysyders, Brisbanites, Adeladians, etc. It may sound like sour grapes… wait… it is a case of sour grapes!